Landscaping Services In Asbury Park - Learn How We Got Our Start | Down to Earth Landscaping, Inc. 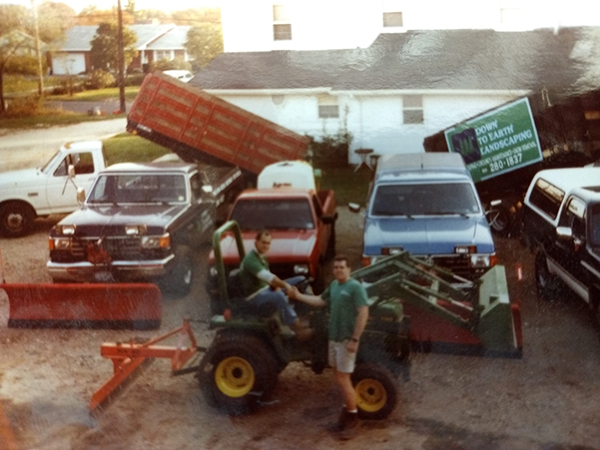 In the summer of 1985 college friends Bill Merkler and Walt Bostian started Down To Earth Landscaping, Inc. They both worked their way through college by commuting back and forth an hour away to complete customers’ projects; this was while they also attended classes full-time. They stayed focused and determined to grow their landscaping business, knowing that hard work, excellent customer service, and the best employees would steer their landscaping company in a direction they would be proud of. Down to Earth Landscaping, Inc. has grown from its small beginnings to a full-service landscape company offering professional landscaping services. We offer our clients the benefit of receiving prompt, professional services for everything from landscape design to grounds maintenance to irrigation system installation to any other landscaping services they need. We are a full-service contractor, which means our construction, irrigation, and maintenance divisions work together to provide the highest quality product. Because of this, we’ll deliver quality projects that exceed your expectations and meet your deadlines time after time. Contact us today. FOR OVER 30 YEARS, BILL AND WALT HAVE GROWN THEIR FRIENDSHIP AND EXPANDED THEIR LANDSCAPING BUSINESS TO PROVIDE SOLUTIONS FOR THEIR CLIENTS. ALL ALONG, THEY’VE REMEMBERED THEIR ORIGINAL IDEA OF PROVIDING HIGH QUALITY LANDSCAPING SERVICES THAT THEY COULD BE PROUD OF.